Table 1. Description of the sample according to socio-demographic characteristics, obstetric history and alcohol consumption prior to the pregnancy. Table 2. Pregnant women's perception of the health advice received from health professionals about alcohol consumption during pregnancy. Table 3. Pregnant women's perception of the health advice received from health professionals about alcohol consumption during pregnancy, by level of education and the type of health care professional. Table 4. Pregnant women's perception of the health advice received from health professionals about alcohol consumption during pregnancy, by employment status and the type of health care professional. Table 5. Pregnant women's perception of the health advice received from health professionals about alcohol consumption during pregnancy, according to alcohol consumption before pregnancy on a typical drinking day. Analizar en qué medida las gestantes recuerdan haber recibido asesoramiento sanitario sobre el consumo de alcohol durante el embarazo, cuál es el mensaje percibido y si existe desigualdad social al respecto. Se realizó un estudio transversal descriptivo con 426 mujeres en su semana 20 de embarazo en las consultas externas de un hospital universitario de Sevilla (España). Los datos se recopilaron mediante entrevistas estructuradas cara a cara realizadas por profesionales sanitarias entrenadas. El 43% de las entrevistadas afirmaron no haber recibido consejo sanitario alguno al respecto. Solo el 43,5% dijeron que habían recibido el mensaje correcto (no beber absolutamente nada de alcohol durante el embarazo) por parte de la matrona, el 25% por el obstetra y el 20,3% por el médico de atención primaria. 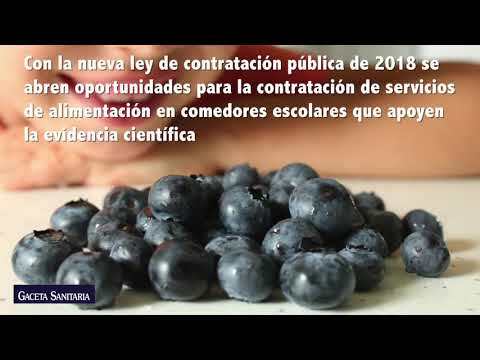 Las embarazadas con menor nivel educativo fueron las que menos refirieron haber recibido asesoramiento sanitario sobre el tema. El consejo sanitario adecuado (evitar todo consumo de alcohol durante el embarazo) no llega de manera efectiva a una amplia proporción de las gestantes. Es necesario desarrollar programas institucionales que posibiliten que los profesionales sanitarios puedan llevar a cabo con eficacia actividades preventivas de los trastornos del espectro alcohólico fetal. This study aimed at evaluating what proportion of pregnant women received health advice on alcohol consumption during pregnancy by the obstetricians, midwives and general practitioners (GPs) involved, according to the recent memory of the pregnant women. A second aim was to identify what message, in this regard, they remember having received. Finally, the third aim was to analyse whether there is social inequality in receiving health advice on the issue. In recent decades there has not been a consistent implementation of FASD prevention programmes within the Spanish National Health System. Thus, our first hypothesis in this study was that the majority of pregnant women do not remember having received health advice regarding alcohol consumption in pregnancy. The second hypothesis was that even in cases where this information is conveyed, a clear message recommending no consumption of alcohol during pregnancy is not always perceived. The third hypothesis was that educational level could be a key factor in the actual accessibility to health advice on the issue. A cross-sectional descriptive study was performed with a representative sample of pregnant women receiving care in the outpatient clinics of a university hospital in a southern Spanish city (Seville). The data were collected through face-to-face structured interviews carried out by trained health professionals, using a customised questionnaire. The population in the geographical area served by this public hospital is quite similar to the average Andalusian population, in terms of the percentage of women in reproductive age (43.1% and 43.6%, respectively), work activity rates among women (49.2% vs. 49.0%), unemployment rates in women (20.8% vs. 18.7%) and educational level (e.g., the percentages of women with only primary school educational level were 23.4% in the area and 24.0% in Andalusia, according to the 2011 population census). The target population was pregnant women around their 20th week of pregnancy receiving care in the outpatient clinics of a university hospital during five months in 2016. Inclusion criteria were to be between 19 and 22 weeks of pregnancy, 16 years of age or older, and fluent in written and spoken Spanish. Women participating in this study signed a consent form. A random sample was obtained, successively choosing one out of every two pregnant women receiving care in these clinics, on their way to the 20th week of gestation ultra-sound. The desired sample size was 400. Socio-demographic variables: age, educational level (categorised into five groups: primary school or lower, compulsory secondary school and initial vocational training, post-compulsory secondary school, high vocational training and university studies), employment status (categorised into four groups: full time work, part-time work, unemployed and other situations, as being in temporary disablement or describing oneself as a housewife), home language, country of origin and place of residence. Obstetric variables: gravidity (including previous miscarriages, induced abortions and the current pregnancy) and pregnancy planning. Alcohol consumption pattern before pregnancy: using questions of the AUDIT scale,30 patterns of self-reported alcohol consumption before pregnancy were recorded. Subsequently, taking into account the types and amount of alcohol beverages consumed by the interviewee before pregnancy in a usual drinking day, as well as the content of pure alcohol of each type of glass or alcohol container in the city of Seville,31 the grams of alcohol consumed in that typical drinking day were calculated. For abstainers, the computed figure was 0 grams. Health advice on alcohol consumption during pregnancy: two questions recorded the advice provided in this regard by each of the three types of professionals involved in standardised pregnancy care (midwife, obstetrician and GP), according to the perception and recall of the interviewee. For midwives (and equally for the two other kinds of professionals), the first question was: “Has your midwife said anything to you about alcohol consumption during pregnancy?”. The answer was dichotomous: “yes” or “no”. If the answer was affirmative, the second question was asked: “Could you please summarise what she said?”. On a card presented to the interviewee, five possible answers were provided, and only one could be chosen: 1) “I can drink whatever alcohol I want, without any problem”; 2) “I can drink a little alcohol every day, without any problem”; 3) “I can drink, as an exception, some alcohol, without any problem”; 4) “I should not drink any alcohol at all”; 5) “Other (please specify)”. Data collection was carried out during the spring and summer of 2016. The interviews were carried out face-to-face by trained healthcare professionals, in a private space prepared in the outpatient clinic of the hospital. A univariate analysis was carried out for each variable, followed by the generation of three new variables: number of health professionals providing advice on alcohol consumption in pregnancy (always according to the perception and recall of the interviewees), grams of alcohol consumed in a usual dinking day before pregnancy and the categorization of the perceived advice provided by each health professional (correct advice, incorrect advice, no advice). Subsequently, a bivariate analysis of the interrelationship between the variables relating to the health advice on alcohol consumption during pregnancy and each of the socio-demographic variables that could indicate social inequality (age, education level and employment status) was carried out applying the chi-squared test. Standardised residuals were calculated for each cell of the resulting contingency tables. Similarly, associations between perceived health advice on this issue and obstetrics variables were explored, as well as with alcohol consumption before pregnancy. Finally, a multiple regression was carried out by placing the number of health professionals providing advice as dependent variable and considering educational level, employment status, pregnancy planning and grams of alcohol consumed in a typical drinking day before pregnancy as independent variables. The study protocol was approved by the Ethics Coordinating Committee of Biomedical Research in Andalusia. After having provided written and oral information on the study's purpose, all participants gave their informed consent. The data were anonymously handled. The Helsinki declaration of 1975 and its subsequent amendments were respected. Out of a total of 1664 women who received care in these outpatient clinics throughout the five months, half of them (832) were asked to participate in the study, and 426 agreed to participate (51.2%), 92.2% born in Spain. The mean age of the interviewees was 31.9 years of age (standard deviation: 5.3). The socio-demographic description of the resulting sample is displayed in Table 1. Description of the sample according to socio-demographic characteristics, obstetric history and alcohol consumption prior to the pregnancy. A quarter of the interviewees did not plan the current pregnancy (25.4%; 95% confidence interval [95%CI]: 21.8-29.0%) and 40.4% were in their first pregnancy (95%CI: 36.4-44.4%). Regarding alcohol consumption before pregnancy, 22.4% of interviewees self-reported being abstainers (95%CI: 18.8-26.0%); the rest reported an average consumption of 32.53 grams of alcohol in a typical drinking day (Table 1). Approximately half of the sample reported having received some health advice on alcohol consumption from the midwife (53.5%) and a quarter from the obstetrician (27.7%) or the GP (23%). A significant segment of the sample (43%) reported having received no advice on alcohol consumption from any of the three types of professionals studied. Only 30.5% of the interviewees reported having been advised on this topic by more than one of the three types of professionals (the respective 95%IC are displayed in Table 2). Pregnant women's perception of the health advice received from health professionals about alcohol consumption during pregnancy. Within the segment of pregnant women who said that they had been informed with regard to alcohol consumption during pregnancy, the message perceived by the majority was that “I should not drink any alcohol at all”. Specifically, 81.3% of pregnant women advised by their midwife reported having received this message, as well as 90.4% of those informed by their obstetrician and 88.4% of those who received advice from their GP. By contrast, other pregnant women stated that the advice given was that they could, exceptionally, drink some alcohol without there being any problem with their pregnancy. This was the case of 14.2% of the women regarding their midwife, 7.8% for their obstetrician and 10.5% for their GP. A few cases reported having received other advice (see Table 2 for details). Combining both variables (having received or not having received health advice on the consumption of alcohol during pregnancy and the message perceived if informed), it can be estimated, according to the recall of the interviewees, that 43.5% of the total pregnant women in the sample remembered having received the correct message (not to consume any alcohol at all during pregnancy) from their midwife, 25% from their obstetrician and 20.3% from their GP (Fig. 1). The message perceived by pregnant women regarding alcohol consumption during pregnancy as conveyed by their health care professional. Heterogeneity was analysed amongst the interviewees’ answers regarding health advice on alcohol consumption during pregnancy in accordance with the pregnant woman's age, educational level, employment status, number of pregnancies, pregnancy planning and reported alcohol consumption before pregnancy. No major differences were detected regarding age. Women with only primary education stood out in terms of the high proportion of them who stated that they had not been informed by any of the three types of health professionals (58.3%; z=2.9; p <0.01). The opposite was the case for women with higher (university) education, of whom 35.6% reported not having received any advice from any of the three studied sources on this subject (Table 3). Pregnant women's perception of the health advice received from health professionals about alcohol consumption during pregnancy, by level of education and the type of health care professional. All differences tested with χ2 test categorical variables. Pregnant women with full-time jobs were the ones who, to a lesser extent, stated that they had not received information on the subject from any of the three types of health professionals (36.5%; z=−2.2; p <0.05); that is, they were the ones who, as a whole, were the most informed by at least one of the three sources. In turn, more than half of the women (52.9%) who fell in the category “other work situations” reported that they had not been informed by any of the three types of sources (z=2.1; p<0.05) (Table 4). A small percentage of unemployed women declared that they had received advice on the matter by two health professionals (8.4%; z=−2.1; p <0.05). Pregnant women's perception of the health advice received from health professionals about alcohol consumption during pregnancy, by employment status and the type of health care professional. The percentage of pregnant women who reported having been informed by the three health sources was particularly high (21.6%; z=2.4; p <0.05) among those who were pregnant for the first time. No major differences were detected regarding the number of health professionals providing advice on the issue in accordance with pregnancy planning or reported alcohol consumption before pregnancy (data not displayed in tables). Women with only primary education were the ones who in greater proportion stated that they had not received any advice on alcohol consumption during pregnancy, either from the midwife (59.2%; z=2.3; p <0.05) or from the obstetrician (83.1%; z=2,2; p <0.05). With regard to the GP, there were no significant differences in this regard according to the level of education (Table 3). With respect to employment situation, women who worked full-time were the ones who to a lesser extent stated that they had not received health advice on the use of alcohol in pregnancy by the obstetrician (64.6%; z=−3.0; p <0.01). Those that were found in “other work situations” were, in turn, the ones that made this statement in the greatest proportion (84.5%; z=2.7; p <0.01). No significant differences were noted in this respect regarding midwives or GPs (Table 4). Pregnant women with university studies were the ones who reported having received the correct message —not to drink any alcohol during the pregnancy— in a higher percentage by the midwife (52%; z=2.7; p <0.01). In turn, pregnant women with post-compulsory secondary education were those who in greater proportion reported having received different advice (20%; z=3.3; p <0.01). As to obstetricians and GPs, there were no relevant differences in this regard depending on the educational level of the pregnant women (Table 3). The full-time working pregnant women were the ones who in greater proportion reported that the midwife recommended that they not drink any alcohol during the pregnancy (51.6%; z=2.8; p <0.01); this response was particularly rare among the women in other employment situations (28.6%; z=−3.0; p <0.01). The latter applies to the advice of the GP (9.5%; z=−2.6; p <0.01) and the obstetrician (13.1%; z=−2.8; p <0.01) as well (Table 4). Regarding alcohol consumption before pregnancy, women who declared that they had been abstainers before their pregnancy were the ones who to a lesser degree remembered having received advice from the midwife other than abstaining from consuming any alcoholic beverages during pregnancy (3.6%; z=−2.1; p <0.05). In turn, pregnant women who before pregnancy consumed more grams of alcohol were those who, among the group that remembered having received advice, indicate that this advice from the obstetrician (5.6%; z=2.3; p ≤0.05) or from the GP (6.6%; z=2.7; p <0.01) did not include that they should drink no alcohol during pregnancy. On the other hand, among the women who consumed below-average amounts of alcohol before pregnancy, only a very small percentage (1%; z=−2.2; p <0.05) recalled having received advice from the GP other than the correct advice (Table 5). Pregnant women's perception of the health advice received from health professionals about alcohol consumption during pregnancy, according to alcohol consumption before pregnancy on a typical drinking day. Prior to the multiple regression, an analysis of the correlations among the variables in play (number of health professionals that give advice, educational level, employment situation, number of pregnancies, pregnancy planning, and alcohol consumption before the pregnancy) was carried out. No significant effect sizes were detected (none of the correlations reached the value of 0.3). Regarding the number of health professionals that gave advice, a negative correlation was found with regard to the number of pregnancies; that is, the more pregnancies a woman had had, the less she remembered receiving advice on the subject (−0.159; p <0.01). With respect to educational level, a positive correlation was detected: women with higher levels of education remembered to a higher degree having received information from the health professionals that attended them (0.104; p <0.05). Lastly, the multiple regression (after excluding the employment situation, given that it does not present a clearly ordinal sequence in its categories) only showed a relation with regard to the number of pregnancies, which is inversely proportional to the number of professionals informing on the subject (β:−0.172; p <0.01). The aim of this study was to analyse whether pregnant women remembered having received advice related to alcohol consumption during pregnancy from healthcare professionals providing care to them, to identify the messages perceived and to analyse if there was any social inequality in the accessibility of this information. Although in this study the actual practices of health professionals in this area have not been investigated —the information was retrieved from the perception and memory of the pregnant women— the results suggest that giving health advice related to alcohol consumption during pregnancy is not a widespread practice among the health professionals who provide healthcare to them. It is remarkable that 43% of the interviewees stated that they had not received any health advice at all regarding this matter, while only 30.5% remembered having been informed on this crucial subject by more than one source. Social differences can also be detected —fundamentally according to educational level— in the recall of having received some advice on this matter. Women with lower educational levels (only primary education) are precisely those who remembered having been advised by the midwife or the obstetrician in this regard to a lesser extent. Overall, only a minority of pregnant women remembered having received the correct advice (to avoid any alcohol consumption during pregnancy) from the professionals that provide healthcare to them (specifically, 43.5% regarding the midwife, 25% with regard to the obstetrician and 20.3% regarding the GP). Social differences are also detected in terms of the content of the remembered message. Women with university studies, as well as those who work full time, stood out in terms of stating that the midwife had advised them not to drink any alcohol. In other words, the presumably most educated and generally better informed women were those who to a higher degree had received (or retained) the right advice on this matter from their midwife. In contrast, women that fell under the category “other employment situations” stood out for being those who in greater percentage remembered having received from the midwife a message different from the correct one. The social inequality that is observed both in the statement of having or not received some type of health advice on the subject, as well as in the specific content of the message that is remembered, lends itself to different interpretations. On the one hand, it may reflect individual differences, related to educational level, in the capacity for remembering advice provided by healthcare professionals. It may also be that the most educated women (or those who are in better employment situations) are more proactive when it comes to gathering information in the healthcare provider's office. It is also possible that in certain aspects of the relationship between the providers and the pregnant women there may be a differential treatment, depending on the cultural level of the latter. Socio-economic barriers in provider-patient communication have been detected regarding other issues, such as physical activity or nutrition counselling during pregnancy.32 All these findings suggest the need of increasing providers’ awareness of socio-economic disparities in communication with users. In any case, one should not forget that, from a preventive perspective, the truly important message is the one that users remember having received, even if it does not coincide with the one given by the provider, because it can influence the pregnant women's behavior. Therefore, the low proportion of pregnant women who remember having received the correct message is particularly worrisome, since it points to a prominent preventable cause of congenital anomalies. On the other hand, it is striking that the number of pregnancies is inversely proportional to the number of professionals informing on the subject, according to the retrieved data. This could reflect, among other factors, a greater receptivity of women who are in their first pregnancy toward health related advice, or a greater educational effort from healthcare professionals toward these women. It has also been noted that alcohol consumption prior to the pregnancy introduces some modifications regarding the pregnant women's statements, both in terms of whether or not they remembered having been guided on alcohol consumption during pregnancy and the specific content of the remembered message. If the women who report that they did not consume alcohol before their pregnancy are those who to a greater extent claim to have received advice from the midwife on this matter, and those who consumed the most are the ones who to a larger extent remember having received a different message than to avoid all alcohol consumption, this may reflect both an attitudinal bias in the memory of the women and differential health practices depending on the user's alcohol consumption pattern prior to the pregnancy. From the data collected in this study, it cannot be determined whether the first or the second is more likely, but, in any case, it would be paradoxical that midwives made a greater preventive effort towards the women who claimed to be abstainers before their pregnancy. The WHO European Action Plan to Reduce the Harmful Use of Alcohol (2012-2020) establishes, amongst other measures, the relevance of interventions carried out by the healthcare provider with pregnant women. In this regard, the clinical practice protocols in pregnancy care should include, in all countries, the evaluation of alcohol consumption in pregnant women, and it should provide information about the risks involved and, whenever necessary, the supplementary support they may need to achieve avoidance. This study explores the present status of health preventive practice in relation to a key issue in the prevention of congenital defects that has been scarcely studied. The sample was chosen at random from pregnant women receiving care in outpatient clinics of their hospital (a public university hospital), all approximately in the 20th week of pregnancy. Sociologically, the sample is heterogeneous and reflects the social diversity of the population served in the community health area. The feminine population of the geographical area served by the hospital is quite similar to the average Andalusian feminine population. The interviews were carried out face-to-face by trained healthcare professionals, in a private space prepared in the hospital's outpatient clinic, ensuring preservation of anonymity. The interviewees were asked for recent retrospective data. The rates of omission in the responses were 0% or close to 0% (depending on the question). All of the above represent the strengths of the study. However, it also has its limitations. It is a descriptive study with a cross-sectional design, which prevented us from identifying causal relations between the variables studied. The sample did not include foreigners who did not speak Spanish, since interpreters were unavailable. The socio-demographic characteristics of the women who declined to participate in the study were not recorded. The data were declared by the women themselves, without actually verifying the information given by the healthcare professionals. According to the recall of pregnant women, only approximately half of the midwives and a quarter of the obstetricians and the GPs gave them some type of information (not always correct) about alcohol consumption during pregnancy. 43% of the interviewees stated that they had not received any health advice regarding this matter. Only 43.5% of the sample remembered having received the correct message (not to consume any alcohol at all during pregnancy) from their midwife, 25% from their obstetrician and 20.3% from their GP. Women with a low educational level were those who to the least extent declared having received health advice on the issue. Prenatal alcohol exposure can cause permanent brain damage and is usually accompanied by abnormal facial features and congenital deformities, all with lifelong consequences. It can be prevented by avoiding alcohol consumption throughout pregnancy. Only a minority of pregnant women cared for in a community health area of Seville (Spain) remembered having received the correct advice (not to consume any alcohol at all during pregnancy) from health care practitioners. Women with a low educational level were those who to the least extent declared having received health advice on the issue. R. Mendoza, I. Corrales, E. Morales-Marente, M.S. Palacios and C. Rodríguez-Reinado conceived and designed the study, advised by O. García-Algar. I. Corrales and R. Mendoza coordinated the data collection. E. Morales-Marente was responsible for the data analysis. All authors interpreted the results, drafted, reviewed and approved the final version of the article. Preliminary versions of this paper were presented in the Social Epidemiology Seminar of the Carlos III Health Institute (Madrid, May 2016) and in the XXXIV Scientific Meeting of the Spanish Epidemiology Society-XI Congress of the Portuguese Epidemiology Association (Seville, September 2016). The authors acknowledge Diego Gómez-Baya (University of Huelva), Fátima Larios (University of Sevilla) and Rocío Medero (Hospital N.S. Valme, Andalusian Health Service) for their contributions to the design and development of this study as research team members. The study has been funded by the Research Group on Health Promotion and Development of Lifestyle across the Life Span (University of Huelva, Spain), with funding received from the Scientific Policy Strategy of the University of Huelva and the Andalusian Plan for Research, Development and Innovation (PAIDI). Fetal alcohol spectrum disorders are clearly brain-based. J. Fan, S. Jacobson, P. Taylor, et al. Riley E, Infante M, Warren K. Fetal alcohol spectrum disorders: an overview. Neuropsychol Rev. 2011;21:73-80. K. Davis, K. Gagnier, T. Moore, et al. Cognitive aspects of fetal alcohol spectrum disorder. B. Lucas, J. Latimer, R. Doney, et al. Gross motor performance in children prenatally exposed to alcohol and living in remote Australia. J. Hagan, T. Balachova, J. Bertrand, et al. L. Wieczorek, E. Fish, S. O’Leary-Moore, et al. Hypothalamic-pituitary-adrenal axis and behavioral dysfunction following early binge-like prenatal alcohol exposure in mice. H. Hoyme, W. Kalberg, A. Elliott, et al. Updated clinical guidelines for diagnosing fetal alcohol spectrum disorders. R. Carter, J. Jacobson, C. Molteno, et al. Fetal alcohol growth restriction and cognitive impairment. Williams J, Smith V. Fetal alcohol spectrum disorders. Pediatrics. 2015;136:1395-406. E. Lunde, S. Washburn, M. Golding, et al. Alcohol-induced developmental origins of adult-onset diseases. S. Feodor Nilsson, P. Andersen, K. Strandberg-Larsen, et al. Risk factors for miscarriage from a prevention perspective: a nationwide follow-up study. K. Truong, O. Reifsnider, M. Mayorga, et al. Estimated number of preterm births and low birth weight children born in the United States due to maternal binge drinking. World Health Organization. Global status report on alcohol and health 2014. Geneva: WHO; 2016. I. Galán, M. González, J. Valencia-Martín. Patrones de consumo de alcohol en España: un país en transición. S. Popova, S. Lange, C. Probst, et al. A. Mårdby, A. Lupattelli, G. Hensing, et al. Consumption of alcohol during pregnancy. A multinational European study. O. García-Algar, O. Vall Combelles, C. Puig Sola, et al. Exposición prenatal a drogas de abuso a través del análisis de meconio en una población de bajo nivel socioeconómico en Barcelona. X. Joya, E. Marchei, J. Salat-Batlle, et al. S. Gahagan, T. Sharpe, M. Brimacombe, et al. Pediatricians’ knowledge, training, and experience in the care of children with fetal alcohol syndrome. O. Vall, J. Salat-Batlle, O. García-Algar. Alcohol consumption during pregnancy and adverse neurodevelopmental outcomes. Alcohol in pregnancy: attitudes, knowledge, and information practice among midwives in Denmark 2000 to 2009. J. Payne, E. Elliott, H. D’Antoine, et al. Health professionals’ knowledge, practice and opinions about fetal alcohol syndrome and alcohol consumption in pregnancy. J. Payne, R. Watkins, H. Jones, et al. Midwives’ knowledge, attitudes and practice about alcohol exposure and the risk of fetal alcohol spectrum disorder. M. Kingsland, E. Doherty, A.E. Anderson, et al. A practice change intervention to improve antenatal care addressing alcohol consumption by women during pregnancy: research protocol for a randomised stepped-wedge cluster trial. A. Anderson, A. Hure, F. Kay-Lambkin, et al. U. Kesmodel, P. Schioler Kesmodel. Drinking during pregnancy: attitudes and knowledge among pregnant Danish Women, 1998. E. Elek, S. Harris, C. Squire, et al. T.F. Babor, J.C. Higgins-Biddle, J.B. Saunders, et al. The alcohol use disorders. Identification test. Guidelines for use in primary care. M. Gili, J. Giner, J.R. Lacalle, et al. Patterns of consumption of alcohol in Seville, Spain. Results of a general population survey. K. Whitaker, S. Wilcox, J. Liu, et al. Patient and provider perceptions of weight gain, physical activity, and nutrition counseling during pregnancy: a qualitative study. U.S. Kesmodel, P.S. Kesmodel, L.L. Iversen. Lack of consensus between general practitioners and official guidelines on alcohol abstinence during pregnancy. S. Jones, J. Telenta, A. Shorten, et al. Midwives and pregnant women talk about alcohol: what advice do we give and what do they receive?. R. Watkins, J. Payne, T. Reibel, et al. Development of a scale to evaluate midwives’ beliefs about assessing alcohol use during pregnancy. T.E. Wright, M. Terplan, S.J. Ondersma, et al. The role of screening, brief intervention, and referral to treatment in the perinatal period. J. Skagerström, A. Johansson, M. Holmqvist, et al. Towards improved alcohol prevention in Swedish antenatal care?.